If you’ve been out of this once beautiful safe and loving country for sometime, maybe visiting a lovely warm country, (lucky people 😄) or you’ve been locked up in someone’s dark and dank basement and banned from watching the brainwashing box known as the Television then you would have missed the very important breaking news that lovely British school children have decided to take a day off school, with the teachers approval to head into London and prance around with placards for the great Climate Change scam, formally known as Global Warming. 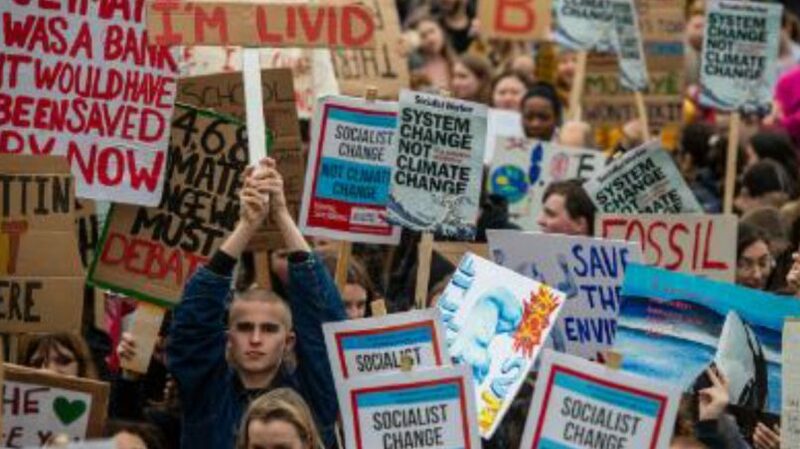 These school kids have got the blessing from the head teacher and teachers to promote the global climate change scam on the streets of London when they should be at school. To all the Millennial Self Serving School Kids going on ‘Strike’ for Climate Change, This one’s for you!! More than ever, you don’t walk or ride bikes to school but arrive in caravans of private cars that choke local roads and worsen rush hour traffic. You are the biggest consumers of manufactured goods ever and update perfectly good expensive luxury items to stay trendy, Your entertainment comes from electric devices. No, none of this will happen because you are selfish, badly educated, virtue signalling little ‘princesses’, inspired by the adults around you who crave a feeling of having a ‘noble cause’ while they indulge themselves in Western luxury and unprecedented quality of life. Wake up, grow up and learn to research facts and think for yourself and not blindly accept the words and thoughts of others.